FIND YOUR PERFECT WORKING ENVIRONMENT, HERE. Here at HSO, our employees configure, tailor and implement Microsoft’s CRM and ERP solutions, based on Microsoft Dynamics 365, AX, CRM and Office 365. But, what you might not be aware of is the fantastic employment that HSO offer. We always have a door open to the right person, hungry to be a part of our growing business. We believe in treating one another with fairness and equal opportunity, so that we can develop individually and collectively, whilst making a difference for our customers too. 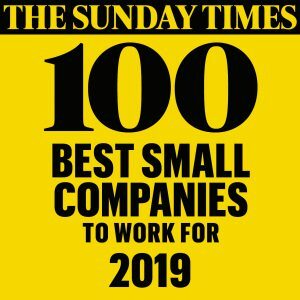 Understanding the importance of workplace engagement and genuinely valuing its people are just two of the reasons why HSO has been ranked in this year’s Sunday Times 100 Best Companies to Work For. The HSO Graduate Scheme enables us to develop and train people to become consultants/project managers using a structured scheme. We will teach you how to be a consultant/project manager, how to be confident talking with and advising customers, covering all the skills you’ll need from presenting workshops through to time management, and we’ll teach you to be fully conversant in Microsoft technology. The scheme runs for two years starting with an intensive eight week masterclass in the Netherlands at our Dutch parent company’s training camp. You will be provided with flights and accommodation and will need to be there ready to on Monday 7th January 2019 or Monday 2nd September 2019. On returning to the UK you will be given the opportunity to be mentored on a customer site, working with some of our senior consultants. Training and development are on-going for the whole two years and beyond. Our aim is to enable each graduate to progress to a fully-fledged consultant role where they can make a valuable contribution to our customers and to HSO. Our people are a mix of sales, project managers, technical specialists and back office support. We also recruit and deploy consultants with an unmatched reputation for delivery to the envy of our competitors. Our consultants/project managers work with our customers to enable them to transition from their existing software to the new Microsoft ERP solution, on a smooth and stress free journey. Consultants need to understand the customer’s business, they appreciate that implementing new technology can be disruptive and each solution needs to be tailored to each individual business. 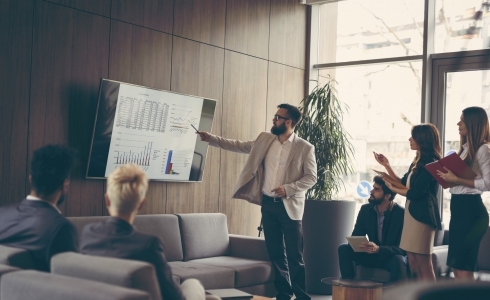 To be successful, our consultants are confident at talking with and listening to our customers at all levels, understanding how technology is used in the company, and how work flows across the business. Using their expertise in Microsoft Dynamics 365 technology, the consultants translate the business needs into a workable and robust solution, delivered on time and on budget. The consultants/project managers ensure that the customer knows what they are getting, that the customer staff are trained in the new technology and that when it comes to going live with the solution there is no risk. Successful candidates will have a good degree and at least a year’s work experience in one of our specialist markets: retail, rental, manufacturing or business services, either via an industrial placement, or post-graduation. You will be confident working on your own and with other people, curious, a good listener and strong communicator, written and orally. You will need an inner dynamo to work at a pace and you must of course be willing to learn and interested in a career in technology. 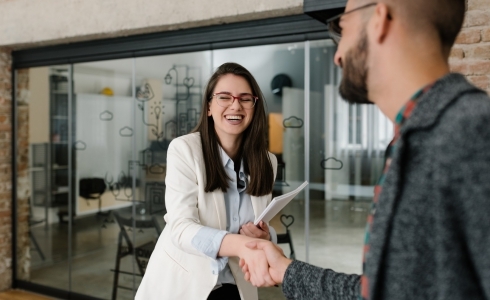 Consultants and Project Managers travel UK wide to work on a customer site usually three days per week so you must be resilient away from home and confident meeting new people. With a multinational footprint, HSO is rapidly expanding. We are proud of and place great efforts in upholding our superb level of service, to customers who operate within multiple market sectors. It’s a brilliant time to get involved. We have offices around the world: Netherlands, UK, Germany, USA, Malaysia and Singapore, connected by our dedicated International Team, uniting HSO local markets and customers on multi-country Microsoft Dynamics AX and CRM projects. We don’t just want you to join HSO, we want you to stay! We don’t want you to have a job with us; we want you to have a career with us. We are ambitious to continue to be a world class implementation company. Our people are ambitious for the company too. And they are ambitious for themselves. We’ll hire you not just because of where you’ve been and what you’ve done, but of where you can go and what you can do in the future. HSO is a leader in mentoring our people across every stage of their career. We want to understand what you’re good at, what you’d like to improve upon; where you want to get to in the future and then we’ll equip you to do it all and do it better. We invest in our people and their work skills; this investment has shown to be wholly worthwhile for us and leads to significant advantage for our customers. We have a reasonably flat structure, so everyone has access to the top levels with ideas and innovations; how we can do things better, faster and in a more efficient way. We have regular updates across the company so that everyone knows how the business is doing; where we are headed and it keeps us all focused and excited. 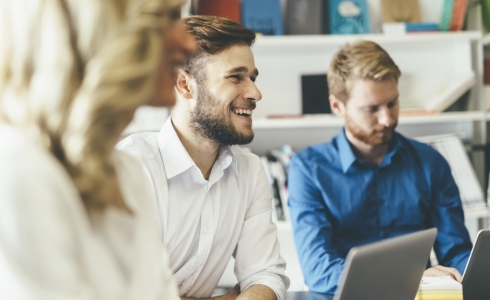 Many of our consultants and project managers work on customer site or from home or remote locations for some of the days of the week, and it’s important to keep them feeling that they are still part of a company. There are regular Company days for getting together to meet and spend time in a more relaxed atmosphere.